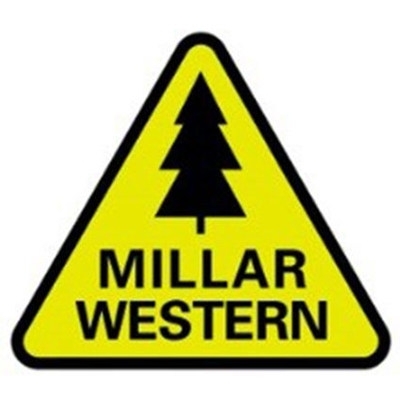 Jan. 2, 2018 - Alberta forest products company Millar Western Forest Products Ltd. announced that it is continuing to execute its growth strategy through the acquisition of Spruceland Millworks Inc. Millar Western has acquired all shares of the company, its manufacturing operations in Acheson, Alta., and its woodlands assets. The transaction brings together two companies that have enjoyed a productive business relationship for decades. Spruceland Millworks is a value-added manufacturer and international distributor of high quality SPF wood products. Started in 1982 by Ben Sawatzky with a simple table saw and a second-hand forklift, the company today has grown to become a "go-to" supplier for its customers and trusted employer in the region. Its more than 100 highly-skilled employees operate a 130,000-square foot manufacturing facility in Acheson. "For the past 35 years, Spruceland Millworks has been a leader in Alberta's value-added wood products sector, developing new products and building new markets in Canada, the U.S. and overseas," said Craig Armstrong, president and chief executive officer of Millar Western. "Through most of those years, Millar Western has been Spruceland's largest supplier of raw material. We look forward to working in even closer partnership with Spruceland leadership to continue the advancement of this dynamic business." This transaction will strengthen Millar Western by integrating the company's existing sawmill operations with Spruceland's value-added manufacturing capabilities. Operating as a division of Millar Western, Spruceland will continue to work under its existing, proven management team and highly-regarded brand. "Alberta forest companies have a reputation as progressive, responsible and innovative," said Tim Fazio, managing partner and co-founder of Atlas Holdings, which entered into partnership with Millar Western in May 2017, becoming majority shareholder. "We are excited about the prospects for growth and expansion within the province's forest sector, led by proven companies like Millar Western and Spruceland." Ben Sawatzky, Spruceland Millworks chief executive officer, commented that the two companies share a family-business background and a common approach to management. "With their long history in Alberta, strong core values, proven ability in sustainable forest management, commitment to the value-added sector and reputation as a good employer, Millar Western is ideally suited to assist Spruceland in its next phase of growth. I am especially pleased that this strategic alliance will ensure a strong future for Spruceland's dedicated staff and security of supply for our valued customers." Headquartered in Edmonton, Millar Western is a century-old, Alberta-based forest products company that produces SPF and aspen lumber, pulp and bioenergy at facilities in Whitecourt and Fox Creek. Established in 1982 and based in Acheson, Spruceland uses SPF dimension lumber to produce value-added wood products including decking, studs, furring strips and industrial access mats. Combined, Millar Western and Spruceland employ nearly 700 people on a full-time basis, and hundreds more on contract.